Remember those days when televisions were watched together? Whether it was Jungle Book, Byomkesh Bakshi or the epics Ramayana and Mahabharata, everybody sat down together to watch the television. I still remember whenever Ramayana was telecasted, my grandmother every time told us that there are more than 300 versions of Ramayana and sometimes she would even point out the changes. Though we loved her stories, we even got irritated sometimes by her never-ending interruptions. But now those are the stories which have become my cookbook to share with my travel mates on the trips like the Chandratal lake where network connectivity is zero. I feel the far-flung areas are the best places to travel because apart from the beauty you come to know what the internet may not know. And you know the legend of Chiktan fort was recited to me in one such trip. Yes, the unconventional Chiktan Fort- An Abode Of The Phantoms. Add it right away in your bucket list before the crumbling ruins of history become an unknown ghost. It is often quoted by the elders that nobody has seen the future but to tell you the truth even the history is unknown. 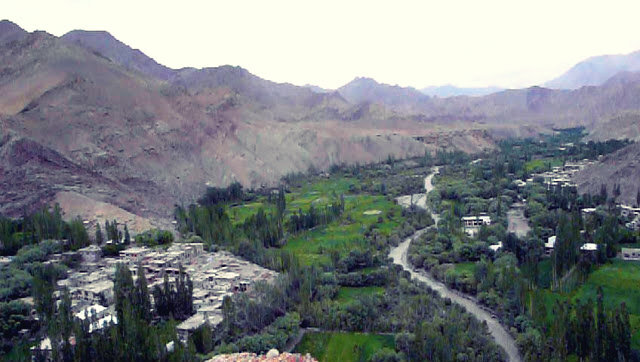 So let me turn the pages back and take you to the snow laden mountains and valleys of Ladakh. The antiquity has called it with different names like Maryul, Kha- chumpa, Kia-Chha and Ma-Lo-Pho. I agree with you, the names are more difficult than the rocky terrain here so let’s head straight to the plot of our story, Chiktan region. 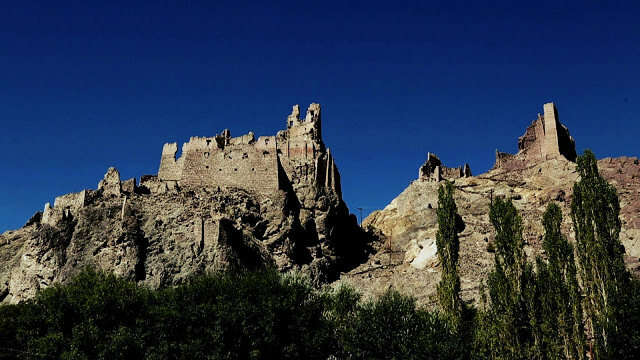 As you move north from Srinagar-Leh highway gazing and praising the unscathed beauty of nature you would reach Kargil and on its border is the Chiktan. Like every diamond is a stone until mined, Kargil and Chiktan got their eminence when the Gilgit Prince, Thatha Khan came here. The folklores of Ladakh tell that ThaTha Khan was loved by the people of Baltistan and this was the reason that his stepbrother Shri VagorTham wanted to kill him. One fine day when he was sitting in the courtroom watching dance, his rivals sent men to kill him. The courtroom musicians who were his loyal started singing the song of caution foretelling the plan of the impending attack. Pretending to dance he stood up and by his shawl, he put off the candles of the room and then in dark he fled away. The other lore about his escape seems more like a South-Indian film’s action sequence. It tells that he placed his sword on the ground firmly and jumping from the hilt of his sword, he reached the Chimney and fled away. #QFT, I still cannot imagine this (Superman of history). Am I sounding like your history teacher, making you feel bizarre? You must be thinking why I am telling you about ThaTha Khan when I have to tell you about Chiktan Fort? Actually, his flee story is the foundation of the Chiktan Fort. Reaching the Chiktan region, the beauty of the place charmed ThaTha Khan to build an unexampled fort to mark his sovereign. For which he called the well-known craftsmen ShinkhenChandan and his son from Baltistan and it took 9 years, 9 months and 9 days to build the masterpiece. (Seems like numerical anuprasalankar!) Just to add one more 9 in the series, this magnificent fort built on two mountains is said to be 9-storeyed. Just imagine the architect’s dexterity who brought out such a tall architecture to life in the 8th-9th century and that too in such rocky terrain! It was not only the grandeur of the fort but the unbelievable facets about Chiktan Fort which made this a remarkable ‘Khar’. Yes, Khar the local name of a fort in Ladakh. The woodwork is said to be so intricate that in its hay days it was peerless in the region of Ladakh and Baltistan. One more fascinating aspect about the Chitkar Fort was that it had a tailspin room which revolved with the flow of air. Wow! Isn’t it simply an engineering wonder, when even now it seems like a fantasy. Imagine, sitting atop mountains and toasting the heart with an enchanting 360-degree view of the heartwarming vicinity, now that’s called wallowing in the luxury of nature. Tell me what would you have done if owned such exemplary fort? ThaTha Khan wished the same but in a heartbreaking way. He ordered to cut the right hands of the master craftsmen so that the monopoly of magnificence is maintained. Henceforth started the legacy of atrocities killing many people in numerous torturous way. #ICYMI, I was telling you a saga which is around thousand-year-old so there have to be different interpretations by now. The descendants of ThaTha Khan believe that it was not ThaTha Khan who built Chiktan Fort but it was Tsering Malik who built Chiktan Fort in 15th-16th Century. Historians on other hand say that ThaTha Khan though laid the underpinning but he had built only a small palace and it was Tsering Malik who commissioned the grand fort in 15th-16th Century. However, in both the tales the Father-son duo from Baltistan who crafted the Fort and the mayhems thereafter remain the same. Also, the ghost stories associated with the Chiktan Fort remain the same. Oh! I missed to tell you that Chiktan Fort is a haunted place. There is a hearsay that the brutal killings by its sinister rulers in this fort have made it an abode of the phantoms. Nobody dares to go the Chiktan Fort after the sunset. Just imagine, people were punished by pushing down from the mountains not to fall on the on the ground but on wooden needles where their bodies would hand and the scavengers like vultures and eagles would eat up the flesh and eventually only bones fell down on the ground. When you will go there and see that point your soul would certainly shiver listening to the live tale by the local along with the panoramic sight. Phew! Nobody dares to go the Chiktan Fort after the sunset, will you dare? But if you are thinking that it must be the furious spirits which must have abandoned its royal occupants then you are wrong! 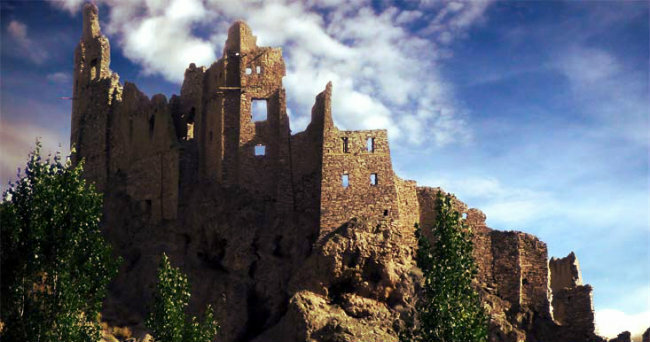 After the Dogra revolt in Jammu, even Ladakh was not spared and forts were destroyed to suppress the Kings. Thus, the rulers of Chiktan fort also absconded their royal residence and started living in normal houses. But still, Chiktan Fort stood like a magnum opus of craftsmanship. It was in the late 19th century that Akbar Khan who was the father-in-law of the Monarch of Chiktan fort got the contract to build a government dispensary in the area. For his own selfish motive, he used the wooden pillars, doors and stones from the fort and this proved to be the downfall of a masterpiece. It is hard to believe that the Chiktan Castle, a significant political centre and symbol of strength, culture and history stands in despair. Alas! Nothing is permanent. The crumbling ruins of history want to tell you the tales of glory and gloom but are you brave enough to be the audience. Does your adrenaline rush sway you in the valleys of Himalayas alongside Indus River to accompany the heap of stones that are befriended by ghosts? Then this abode of phantoms is the answer. The ancient Chiktan Fort is inviting you to be its guest before it fades away in the pages of history.